We are thrilled to announce the completion of the Creative Space Showcase Home. We will be celebrating and sharing this project with you all at a special event in February 2015. This will also be a great opportunity to present and demonstrate some of the fantastic new materials used, as well as some interesting design features to consider for your next building project. Check out more stunning photos of this home here. For those of you who haven't seen a copy of the November issue of Business North yet, we've put a copy of this article on our website here. 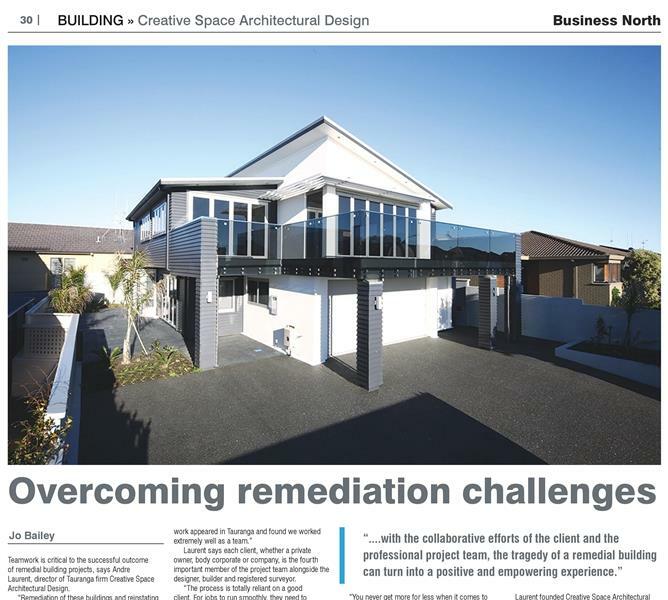 The publication was particular impressed with our ability to turn this home around from being a 'problem' home into a highly desirable home which has now increased in value. 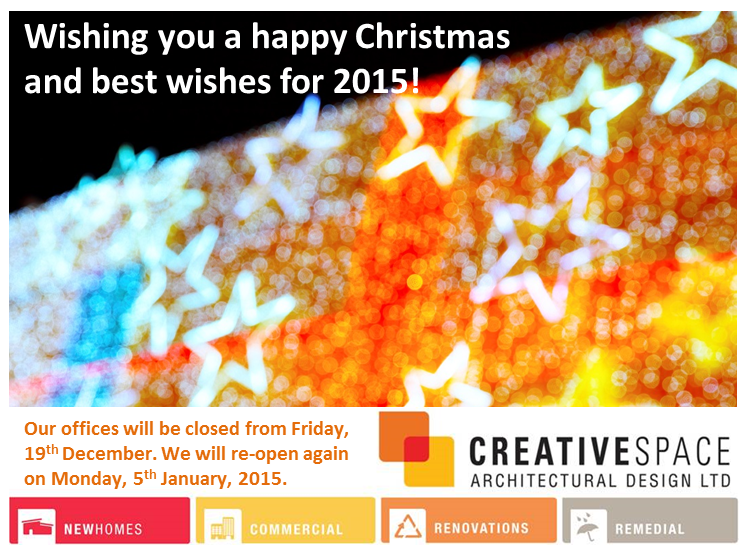 A special word of thanks to our clients and suppliers who have continued to work alongside us this year. As with any small, growing business, we have experienced our fair share of challenges as well as successes. We are looking forward to 2015, and will be kicking this off with our Showcase event in February. More about this party and other news in our January eNews.